Tactical Electronic Warfare Squadron ONE THREE TWO was originally designated Patrol Squadron TWENTY NINE (VP-29) flying the P-2V “Neptune” at Naval Air Station North Island, California. In April 1957, the squadron was redesignated Heavy Attack Squadron TWO (VAH-2) and transitioned to the A-3D “Skywarrior.” The squadron’s homeport was changed in April 1958 to Naval Air Station Whidbey Island, Washington. In November 1968, VAH-2 was redesignated Tactical Electronic Warfare Squadron ONE THREE TWO (VAQ-132), transitioning to the EKA-3B at NAS Whidbey Island. 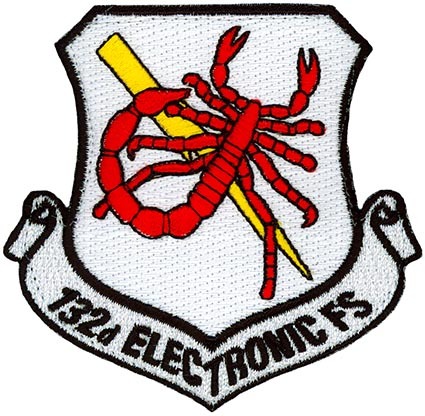 The squadron was tasked with the dual missions of electronic countermeasures and in-flight refueling. In January 1971 VAQ-132 became the first operational squadron to transition to the new EA-6B “Prowler” at NAS Whidbey Island. As the first Prowler squadron in Vietnam, VAQ-132 flew combat support flights from six different carriers on YANKEE STATION in the Gulf of Tonkin. Shortly afterward, VAQ-132 released all of its EA-6B aircraft and gear in order to begin the transition into the new EA-18G “Growler” in February 2009. Since the transition to the EA-18G aircraft, VAQ-132 switched to an Expeditionary Squadron and has successfully completed 1 deployment to Iraq in 2011 and 2 deployments to Misawa Japan in 2012 and 2014. VAQ-132 is also the first Expeditionary Squadron to complete a Western Pacific deployment.